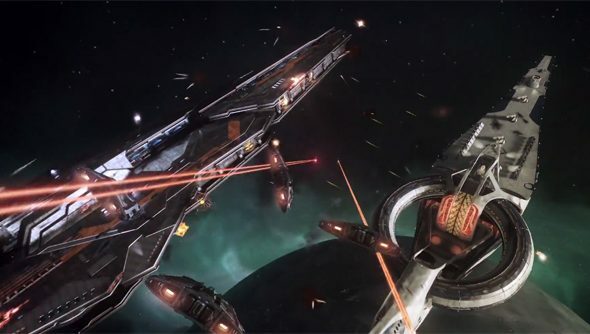 Kickstarted space trading and combat sim Elite: Dangerous is using more than just on-screen futuristic tech. Creators Frontier Developments have announced the game will support VR system Oculus Rift at launch. We’re all in agreement that space games are the perfect fit for the incredible Oculus VR tech, and Elite will no doubt look amazing on it, should you be lucky enough to own a headset yourself. The Rift-enabled version of the game will be available to all backers at no additional charge.